I graduated in 2010 from Rizzieri Aveda School of Beauty and Wellness in NJ. Have two states licenses NJ and PA. I'm here to find people of the same profession and make contacts. So if your goal is to be the best at what you do, feel free to contact or friend me! Exfoliation is essential for healthy cell turnover and a clear complexion! There are 2 types of exfoliators on the market - physical and chemical. I have put together a little bit of information which will help you decide what method will suit you best! 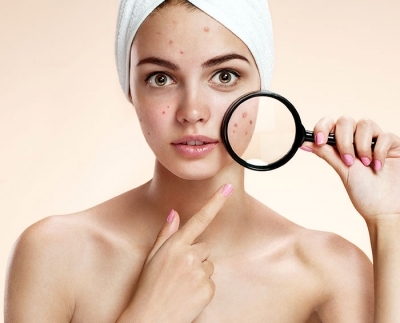 Acne is one of the most common and difficult skin conditions that we treat as aestheticians. When you break out, those annoying blemishes are a combination of dead skin cells, oil, and bacteria. Those with oily skin have excess oil on the surface, making it the perfect breeding ground for breakouts. Yet, surprisingly, even people with dry skin can get acne. So, what is the difference between oily acne and dry acne and what is causing that to happen?